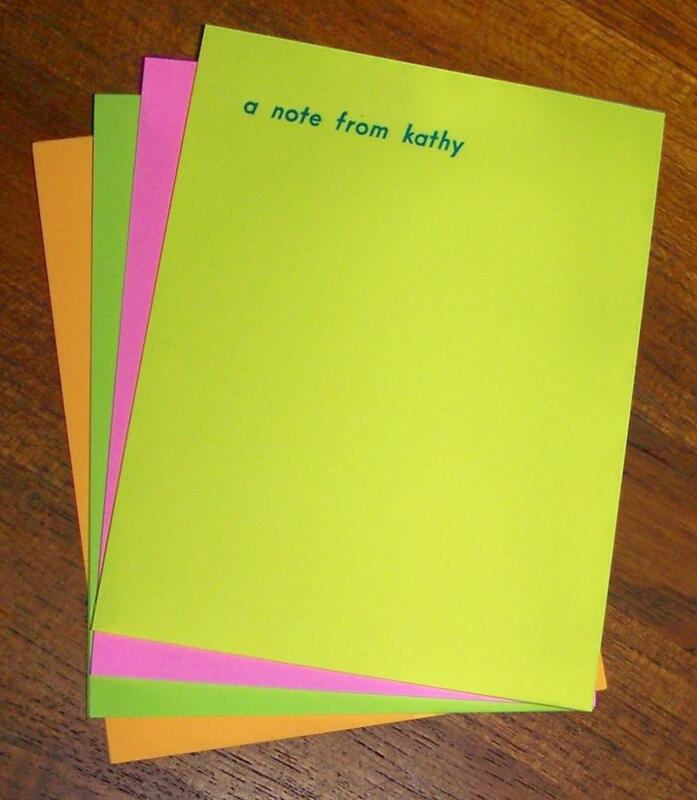 Brightly colored note pads, 4-1/4 x 5-1/2 inches for making all your short notations, 100 sheets per pad. Letterpress printed in blue with one line of type of not more than 25 characters (unless otherwise specified for your selected type style). Assorted colors only, no accented letters, and all sheets must be printed identically. Printed in your choice of one of the illustrated type styles and padded on the top.